2017 has barely started and already Greenville is making waves in the travel world. Recently Greenville was included and ranked 12th on the list of ‘52 Places to Go in 2017’ by New York Times and ranked 4th in ‘12 Places You Need to Visit in 2017’ by People.com. According to New York Times, Greenville may be the next major food destination with four big restaurant openings in downtown area. Truly, foodies will likely not be able to get through Greenville in one weekend. Downtown area offers one of the most diverse and exciting restaurant scenes in South Carolina with so many places to experience different cuisine styles and different restaurant cultures. The article also cited the city’s many public artworks along the tree-lined streets and the popular 21-mile Swamp Rabbit Trail. Greenville’s famous Falls Park in the historic West End of downtown and Pointsett Hotel were also lauded in People’s article. Being a small town, it is easy to spend a weekend in Greenville and yet still not experience everything the city has to offer. There’s just so many great things to do! Just walking to downtown’s beautiful tree-lined Main Street you will find tons of exciting restaurants and bars, great shopping, performance venues, nice hotels, and a beautiful park with its own waterfall. The Main Street alone is well worth a visit! 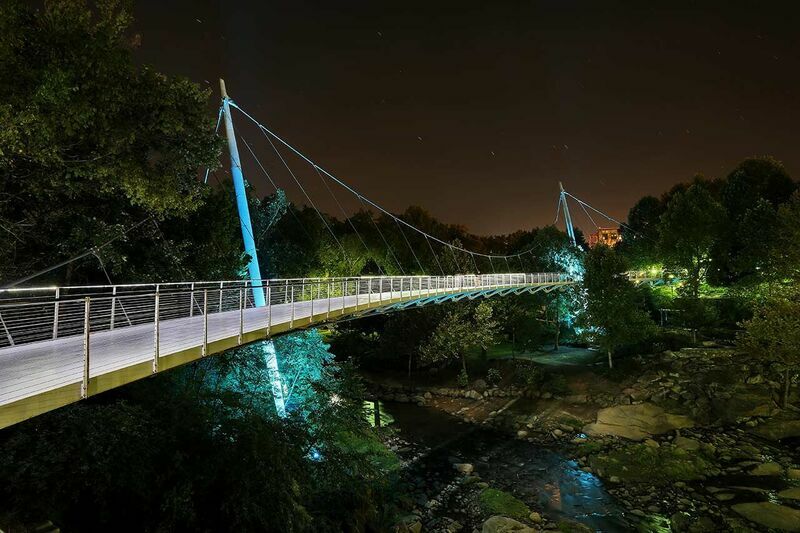 Greenville’s southern charm, stunning natural sights, and revitalized downtown area makes it one of the emerging travel destinations and fastest growing cities in the country. Other places that made it to the list of 52 Places to Go in 2017 include Canada, Atacama Desert in Chile, Agra in India, Zermatt in Switzerland, Detroit and other places around the world. Main Street has won numerous national awards for its spectacular revitalization success and by doing a walking tour you’ll see why. An array of restaurants, shops, artworks, entertainment venues, great hotels, and a beautiful park are the sights to see. The charm of Greenville’s Main Street is well worth a visit! The park is like an oasis within the city. There is a 105 meter-long pedestrian suspension bridge offering stunning views of Falls Parks with its trails, beautiful pieces of artwork, and lovely landscaping. This park is not to be missed when visiting Greenville! Swamp Rabbit Trail runs from Travelers Rest to downtown Greenville. If you love to stretch your legs, hop on a two-wheel and bike along this trail. In addition to the Swamp Rabbit Trail, you will find walking and biking paths throughout the city. Greenville is renowned as a destination for cyclists. Greenville is a wonderful dining destination, just in downtown alone you will have a hundred options where to eat. 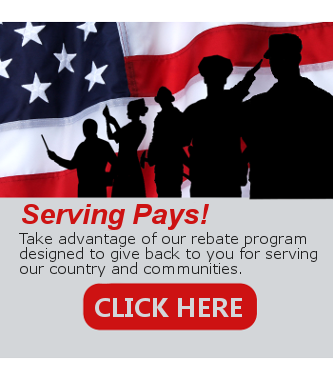 We have a great line of restaurants to satisfy the most discriminating palate. Greenville has been named one of the “Top 100 Arts Small Towns in the country. Arts and culture are so much alive in the city that you will have plenty of choices whether to see an art opening, live theater, orchestra, ballet, or touring Broadway show. 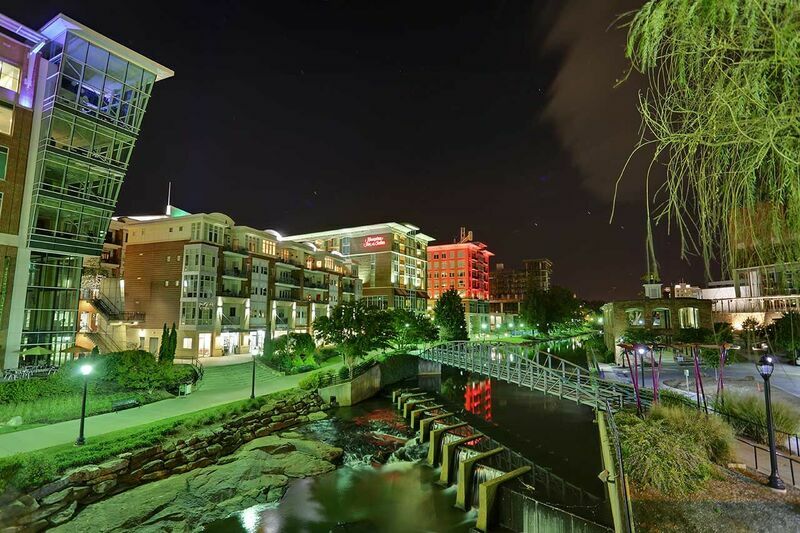 Downtown Greenville and West End districts are the heart of Greenville’s nightlife. From opera to jazz, from nightclubs to bars, from concert recitals to theater and dance, there are lots of options for you.